My bag. Oh it is like a tardis during the week. Without a doubt, there will be crap I don’t need and a lot of it. Here's a peek into the ultimate of girlworld, the inside of a woman's handbag. Second Purse. 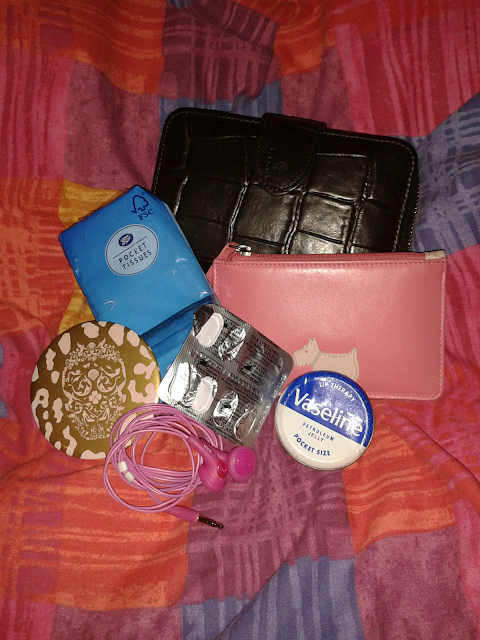 This is a small Radley purse that contains all of the cards that I don’t use on a daily basis such as my blood/organ/bone marrow donation cards and various loyalty cards. Tissues. You never know when you'll get the sniffles or a badly equipped public toilet - we've all been there. Painkillers. For my headaches, my friends headaches, anyone's headaches really. 19p paracetemol is a life saver when you're in need. Headphones. For listening to music on the go. Duh. A mirror. Because if I don't have one, guaranteed I'll get something on my face. Miscellaneous makeup. I know I said that I don’t reapply but that doesn’t mean there aren’t a few lipsticks knocking about in the bottom of my bag. Currently there's a SEVENTEEN lipstick and a Revlon Just Bitten Kissable lipstain. Footlets. Those little socks made of tights material? Mummy Legge taught me well – you never know when there may be an opportunity to try on shoes. Notepad. Mine is a cute on from Paperchase and as I enjoy making lists, it comes in handy. Pen. ^Same as the notepad. A book. As there isn’t anywhere for me to go on my lunch break, I read my book so I always have one with me. Note I say book and not Kindle (I need to feel the paper as I read). Rail card. 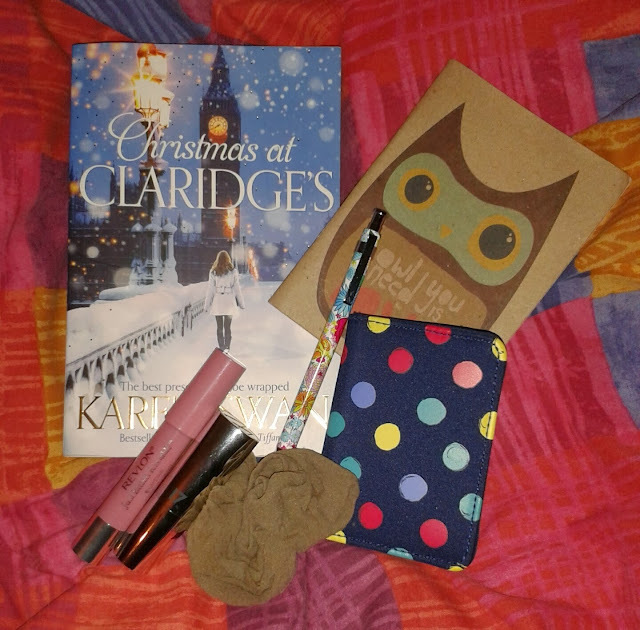 I don't need it all the time but I love the cute spotty case I got for it a few weeks ago at Paperchase. So that pretty much sums up what I lug about on my shoulder, what are your essentials?